No. 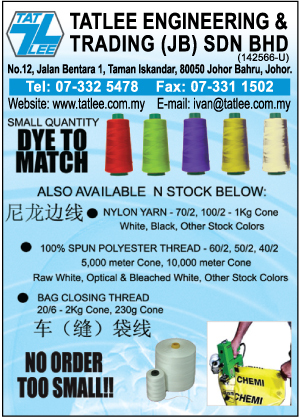 12, Jalan Bentara 1, Taman Iskandar, 80050 Johor Bahru, Johor, Malaysia. 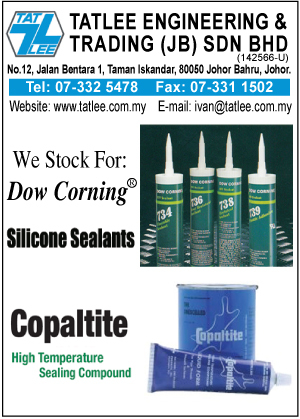 one of the major engineering product supplier in Malaysia. 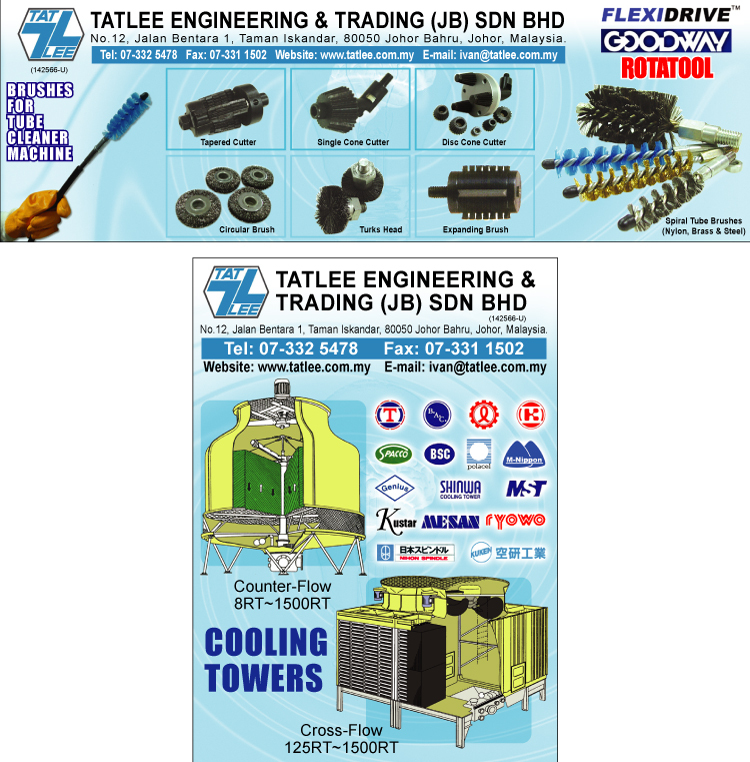 Our products includes air brakes, air motors, brand name, cam clutches, ceramic blanket, cooling tower & related spares, copaltite, cork sheet, cryogenic valve, cyclo drive sumitomo, dwyer, expansion joints & bellows, gland packings, HAWE hydraulik, industrial wool felt, international paint, loc-line modular hose, lubricating systems, molykote & dow corning specialty lubricants, non sparking tools, omega lubricant, pipe repair bandage, pipe repair clamp, pumps & related spares, rosemount transmitters, rubbers, self lubricating nylon, TEFLON PTFE PVDF products, titanium sheet & rods, trochoid pump, tube cleaning equipments, ventilators (explosion proof), and vibrators. 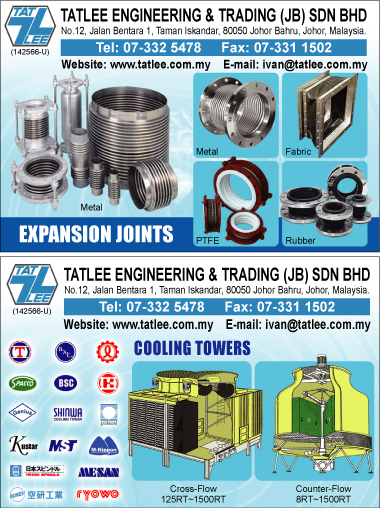 With 25 years of experience dealing with specialized engineering products and our sincere attitude towards customers, we have become one of the major engineering product supplier in Malaysia. With established network comprised of offices in Johor Bahru, Kuala Lumpur and Prai, we also have buying houses in most major countries. 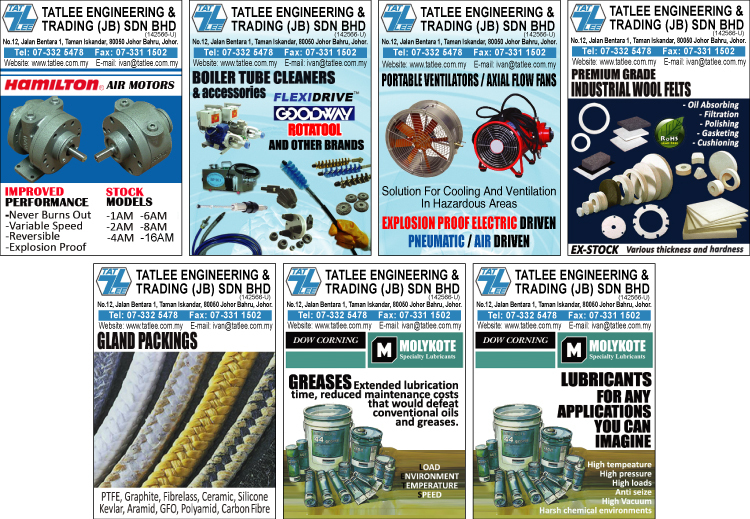 Coupled with extensive know-how of a broad category of engineering products and spare parts, we are confident in providing the best solution for our client. 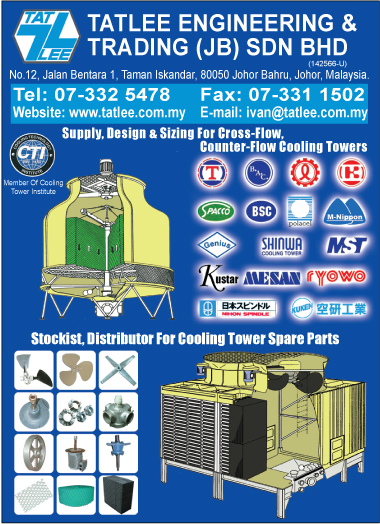 o Cooling Tower & Related Spares. o Gland Packing and Insulation-Ceramic, Fibreglass, Asbestos, Graphite, Wool and PTFE, Silicone, Kevlar, Aramid, GFO, Polyamid, Carbon Fibre. 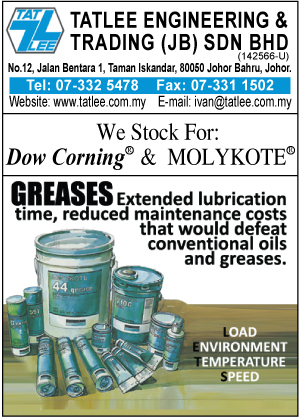 o Molykote & Dow Corning Specialty Lubricant & Grease, Sealant, Silicone Oils. o Boiler & Condenser Tube cleaner, Flexible shaft, Brush & Cutter. o Electric & Air Driven motors. 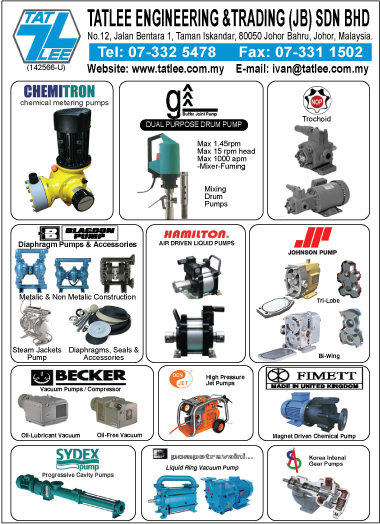 o Pump & Blower-Diaphragm, Trochoid, Vacuum, Magnetic Seal-less, Rotor, Gear, Immersible, Submersible, In-line, Piston, Mono, Reciprocating, Rotary, Tube/Hose & Drum pumps. 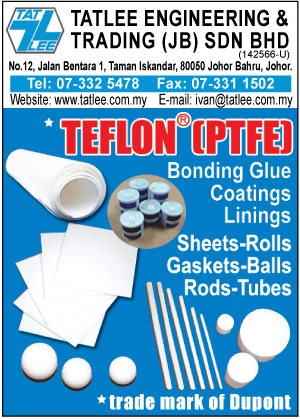 o PTFE lined products-Valves, Pipes. 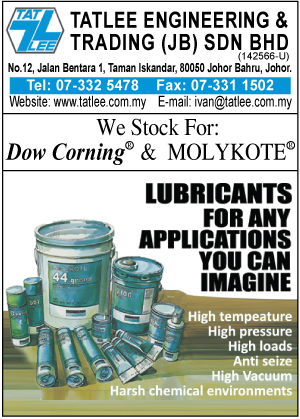 o HAWE and ATOS Hydraulic Power Packs, Pumps, Valves, Cylinders. 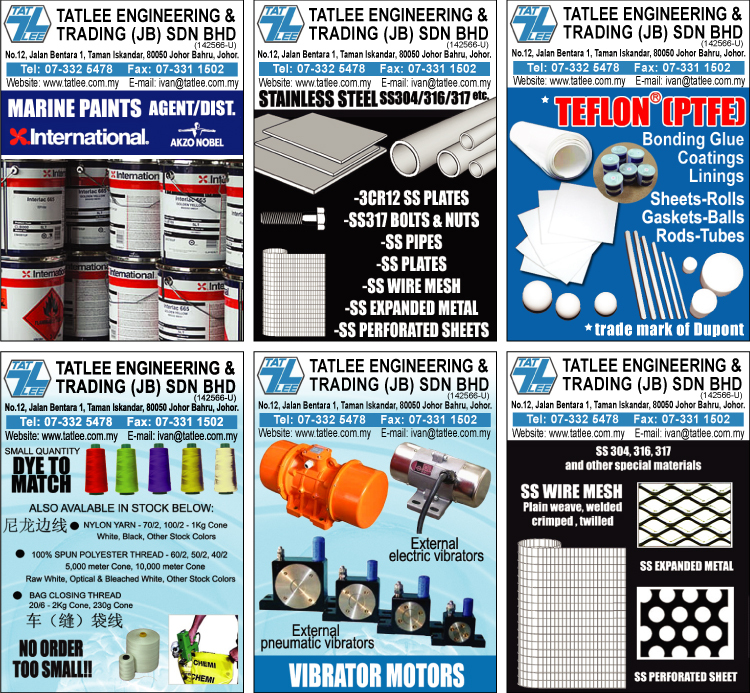 o Rubber Sheets, Rods & Cords, Neoprene, Silicon, Viton rubber.